Wayne Wages led the Panthers by pitching 80.1 innings in the 2016 season. Left-handed senior pitcher Wayne Wages has signed to play professional baseball for the Stuttgart Reds in Germany’s top league. Wages joined the Panthers in 2014, in which he pitched three scoreless innings against in-state foe Georgia Tech, after spending a year at Marion Military. Wages led the Panthers in 26 appearances during the 2015 season. He struck out 31 individuals and finished the season with a 3.77 ERA. In the 2016 season Wages posted a 4-6 record with a 5.14 ERA and led the team with 80.1 innings. Finishing his Panther career totaling over 46 games and 112 innings, Wages won eight games for the Panthers over the previous two seasons resulting in a 4.72 ERA. 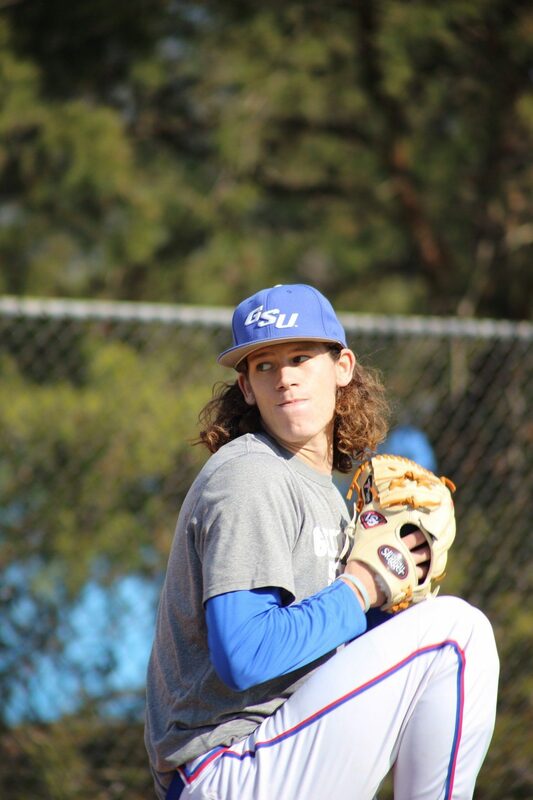 Receiving Louisville Slugger National Player of the Week and Sun Belt Baseball Community Coffee Pitcher of the Week on April 25, Wages showcased his talented abilities. Head coach Greg Frady is happy for Wages and his success on the field. Frady recently finished his 11-year run as the manager for the German National Team. Honoring these accomplishments and several other achievements within his time being the head coach for the German team, Frady will be inducted into the German Baseball and Softball Hall of Fame on July 31, 2016.